View More In Nutmeg - Page 4. 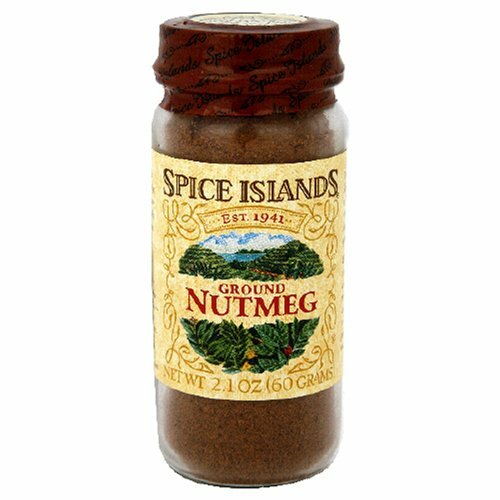 Spice Island ground nutmeg, comes in a 2.1 ounce jar. Warm and aromatic with hints of clove, nutmeg has long been a favorite of bakers. Though its distinctive flavor can enhance a variety of sweet or savory dishes. It is high in volatile-oil content, it’s cryogenically ground to preserve its flavor compounds. The result is a ground nutmeg that very closely matches the flavor of the whole spice. The nutmeg tree actually produces two different spices, nutmeg and mace. Nutmeg comes from the seed of the tree and mace comes from the lacy substance that covers it. If you have any questions about this product by Spice Island, contact us by completing and submitting the form below. If you are looking for a specif part number, please include it with your message.